I absolutely loved this story and was completely swept away with it . I just wanted to climb into the book and live in Polbearne and eat bread. If time permitted I could of indulged in this book in one sitting while eating bread. I won’t spoil it for anyone who has not read it but watch out for Neil the puffin he is absolutely adorable. It is a very easy read with a bit of romance chucked into the mix. Another absolute gem from Jenny Colgan and I am really looking forward to her next release which I hope it very very soon. 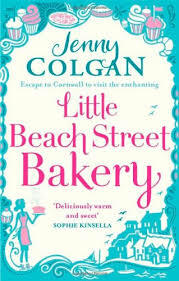 I also hear there maybe another book to the Little Bakery which I really hope it true?